Known to have ancient roots, pewter possesses a unique combination of qualities. 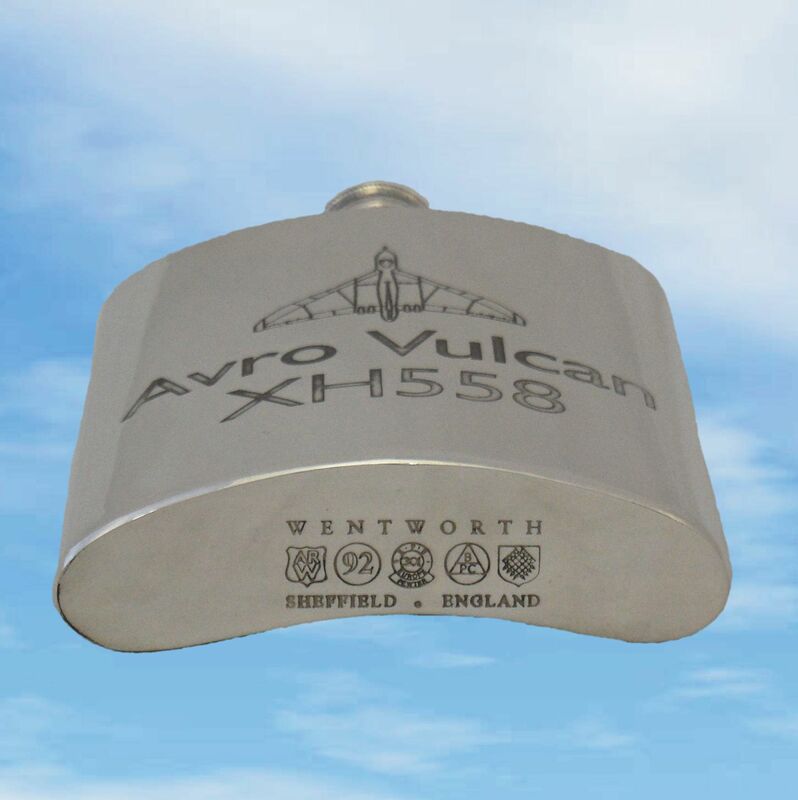 It retains its sheen and is hard-wearing. It’s no surprise that pewter has been in continuous use since the Bronze Age and is one of the world’s oldest manufacturing industries. 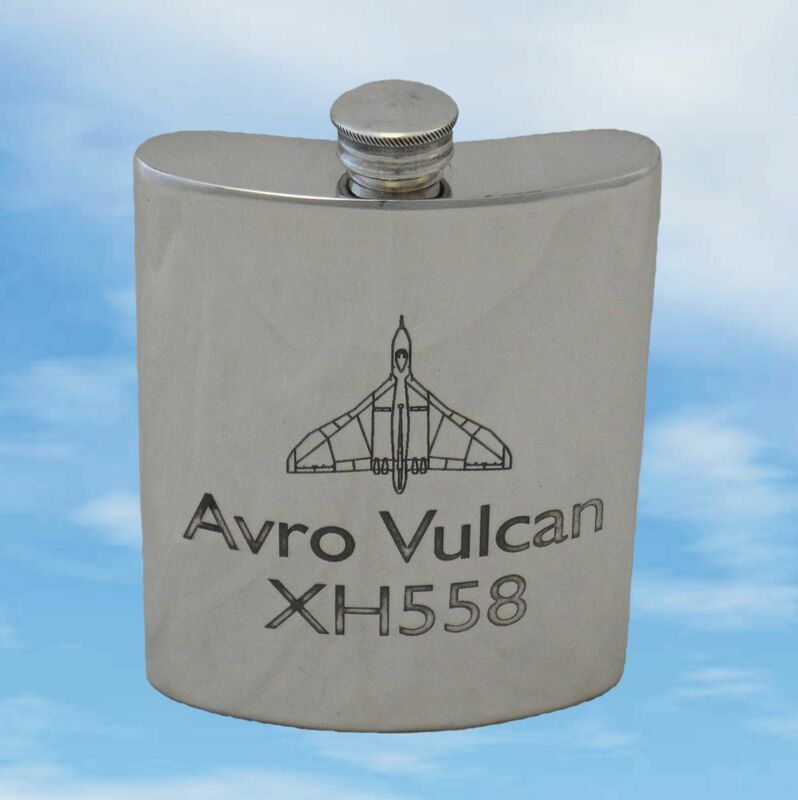 Each AVRO Vulcan XH558 pewter flask has been handcrafted, one piece at a time, by the manufacturer in Sheffield, UK, the heart of the metalwork industry. ARW – the initials of the manufacturer's founder, Arthur Richard Wentworth, who founded the company in 1949. 92 – the minimum percentage of tin, the fourth most precious metal. EPU – European Pewter Union membership. ABPC – the Association of British Pewter Craftsmen mark. If it has become dull, simply clean with a metal polish before you wash it. Always polish in straight lines for the best results. Wash it by hand in hot soapy water and dry it with a soft cloth. Enter your special message into the below fields. What you type is how your message will appear.